Sallie Louella Evatt died on Thursday, February 1, 2018 at Lila Doyle Nursing Center in Seneca, SC. She was born in Central, SC to the late Talmage and Sophia Koon Evatt and remained a life long resident of Central. She was a member of Trinity Wesleyan Church where she served as church treasurer for 34 years and a children's Sunday School teacher. She graduated from Southern Wesleyan University and Newberry College before she spent 40 years teaching first grade, primarily at W. Market Street Elementary in Anderson. Sallie is survived by her sister-in-law, Martha Evatt; and six nieces and nephews. In addition to her parents, she was preceded in death by four brothers, Lee, Francis, Clayton and Gaines; and one sister, Marie. Funeral services will be 3 PM, Sunday at Trinity Wesleyan Church with burial to follow in Mt. Zion Cemetery. The family will greet friends from 2 to 3 PM, Sunday prior to the service at the church. In lieu of flowers memorials may be made to Trinity Wesleyan Church or Southern Wesleyan University. 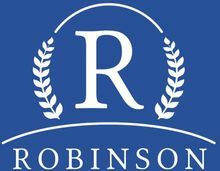 Condolences may be expressed online at www.robinsonfuneralhomes.com or at Duckett-Robinson Funeral Home. Add your thoughts, prayers or a condolence to Sallie's guestbook.